“The Metropolitan Police Department announced today the deployment of new photo enforced locations beginning on or about Saturday, July 19, 2014. The deployment locations for the Photo Enforcement Units will be sites where speeding and pedestrian safety has been identified to be a problem. The thirty-day educational phase will commence on or about July 19, 2014, whereas violators will receive warning citations. After thirty days of warning tickets, MPD will begin issuing live moving citations to violators. For a complete list of red light cameras click here. For a complete list of speed cameras click here. For a complete list of stop sign cameras click here. For a complete list of gridlock cameras click here. For a complete list of pedestrian right of way cameras click here. 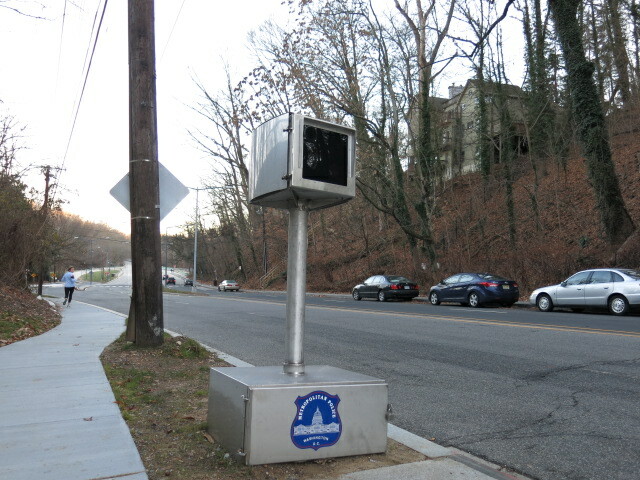 For a complete list of intersection speeding cameras click here.